Located 300 yards from the road, Rectory Hill is a lovely quiet sheltered site away from it all and great for children and dogs too. It has received great reviews for its hospitality, location, and super-sized shower and toilet block, also a small tourist info. room with laundry facilities, a covered paved outside wash-up area and picnic tables for campers. We offer 5 hard standing caravan/motorhome plots with hook up and tent pitches are spacious with the option to have hook up if you wish. We’ve lovely walks nearby on both Salthouse Heath and Wiveton Downs. Cley is just 15 mins walk, pub on green 10 mins and you can reach the sea on foot by road inside 45 mins or leisurely by public footpath within an hour. 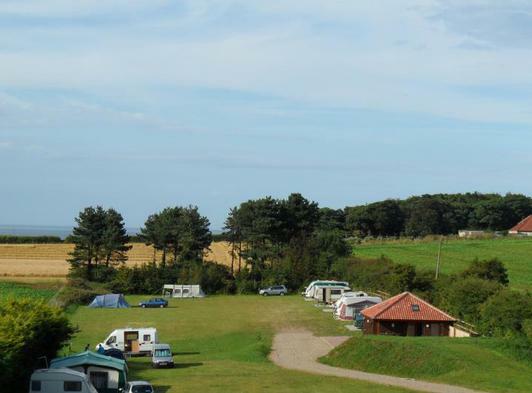 This is a Camping and Caravanning Club Certificated Site, It is a member only site - you may be able to join on arrival - please check direct with the site.